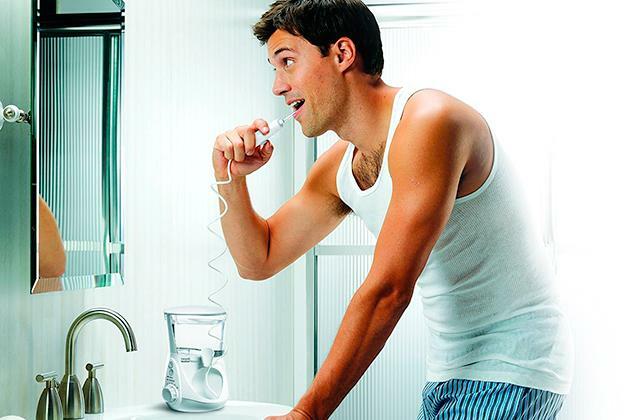 Thanks to 3 sensors and the Philips Sonicare app, you can track how well you brush your teeth in real time. In addition to that, you will receive individual hygiene recommendations, so that you can keep your teeth and gums in perfect condition. It may take you a few attempts to update the firmware. The innovative Sonicare DiamondClean toothbrush is the premium product that focuses on every aspect of your oral health and boasts a lot of advantage features, from different cleaning options and the data it collects to different heads and the way it charges. 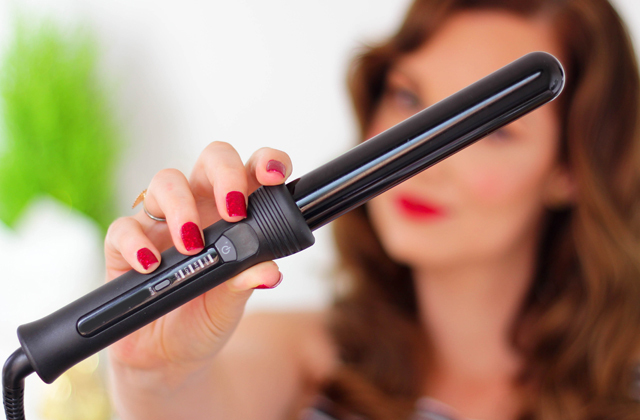 It uses the BrushSync technology that automatically detects and synchronises the smart brush head with the smart handle. All you need to do is simply press the power button. The travel case is no USB charging. 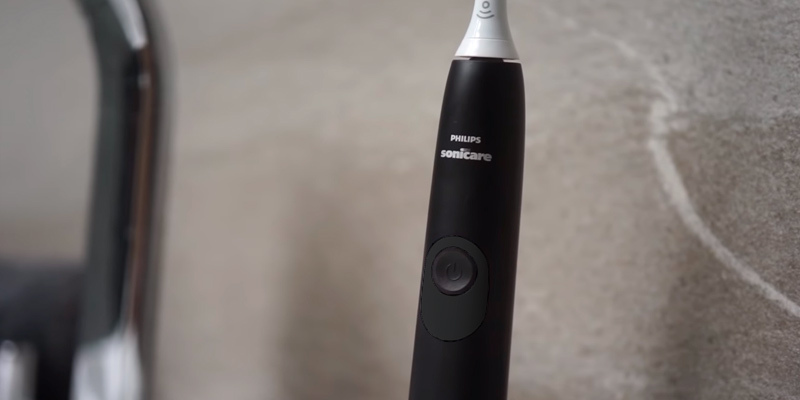 Sonicare ProtectiveClean 6100 is another premium toothbrush from Philips, using which you can achieve first results already after a couple weeks of use. The brush can sweep away plaque in all areas of your mouth allowing you to enjoy white smile and effective clean. Thanks to high-frequency vibrations providing up to 62,000 brushing movements per minute, the bristles whisk toothpaste into a delicate foam driving deep between the teeth. It might seem too harsh for very sensitive teeth. 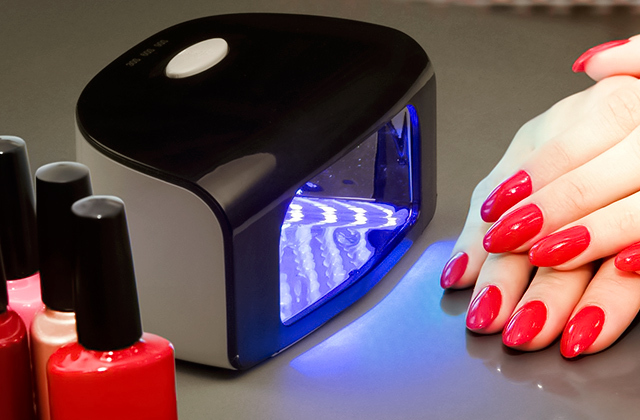 Philips managed to achieve premium-grade functionality without going into numerous odds and intricate options. Packed in a basic design with a single brush head and a single operation mode, this model is able to deliver professional-grade care for your teeth. 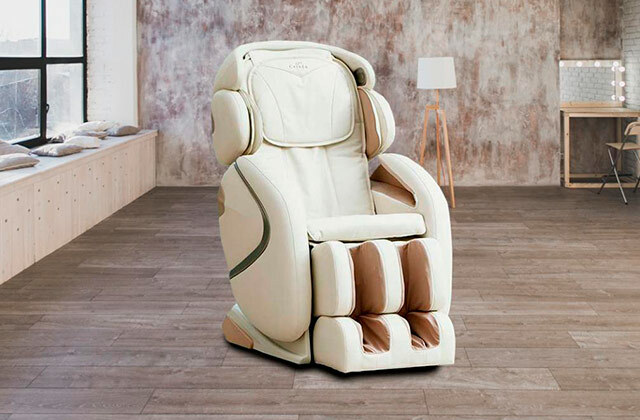 This one has a capacious battery allowing it to operate for 2 weeks without charging, and comes with a bonus brush head, so that someone else from your family can use it, too. 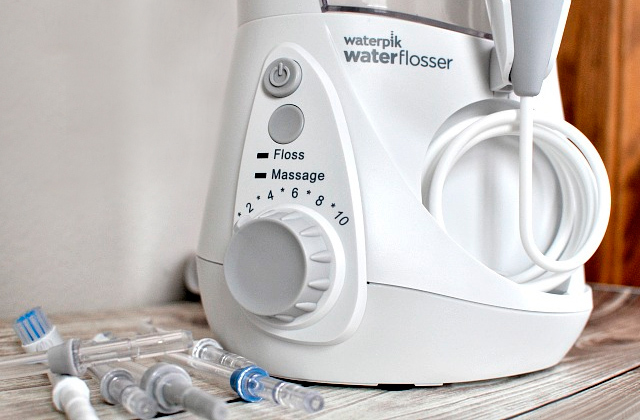 Also available is a bundle with an AirFloss Pro oral irrigator for those who want to maximise cleaning results. The power button is a bit too sensitive. The Philips Sonicare ProtectiveClean 5100 toothbrush ensures the effective and complex cleaning of your mouth. Thanks to the ergonomic handle, the cleaning process is very convenient. This is a golden mean in the Philips ProtectiveClean line. Angled, radial-trimmed bristles help you cover a larger area and remove plaque in-between teeth and along the gum line. If you don't need all those extra frills, this affordable Philips electric toothbrush is your choice. It's pretty basic yet it does its job perfectly - it effectively removes plaque. The Pro-Results head provides gentle cleaning, which is ideal for those with sensitive teeth and gums. Understanding that simple brushing is just insufficient to clean away all the bacteria, plaque, and calcium build-up lurking in your oral cavity, Philips folks have come up with the innovative Sonicare DiamondClean Smart Electric Toothbrush that focuses on every aspect of your oral health. It’s the complete oral care solution with the variety of advanced features that make it far superior to most other electric toothbrushes on the market. This toothbrush cleans demonstrably better than the previous generations and gets to all the right spots, using the correct brushing motion for deep cleaning. Fitted with four high-performance brush heads, it lets you focus on every area of your oral cavity. Besides the standard head for plaque removal, the package includes 3 more premium brush heads for gum health, whitening, and tongue cleaning. And, as a nice touch, the brush automatically recognises each head and adjusts the settings accordingly. Along with the additional brush heads for deep cleaning, this model features 5 different cleaning modes for daily cleaning, deep cleaning, teeth whitening, gum care, and tongue care. Each of these settings can be combined with any of the three intensity levels for the best cleaning results. Like other premium brushes from Philips, this one comes with a deluxe travel case with a USB charging port and a stylish charging glass. As you see, this high-tech toothbrush has virtually everything to make your daily oral hygiene enjoyable and effective. 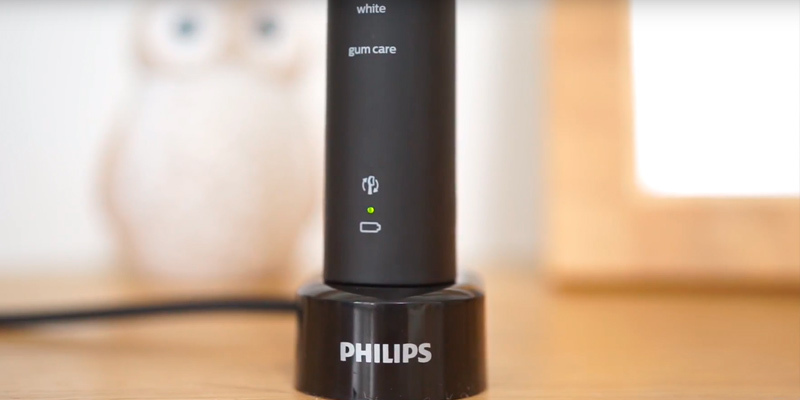 The additional heads and extra settings alone can make the Philips Sonicare DiamondClean one of the best dental care products on the market, but there are even more nifty features that take it over the top. 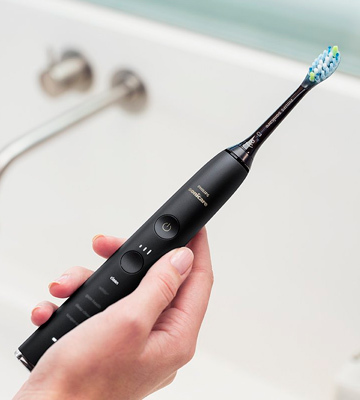 The brush features 3 in-built smart sensors (pressure, location, and motion) that guide you where you need to brush and give light indications when and where to apply more or less pressure. This combined with the Philips Sonicare App app gives you complete guidance over the brushing, ensuring you won’t miss any spot. The app is free and is very helpful in encouraging you to adopt good habits. It gives you real-time feedback on how much pressure you’re applying and whether you’re scrubbing the right quadrant of your mouth. Few other toothbrushes are able to give you such detailed information. The only slight complaint is that it might take you a few attempts to update the brush firmware. Though can be annoying, it's definitely not a dealbreaker. 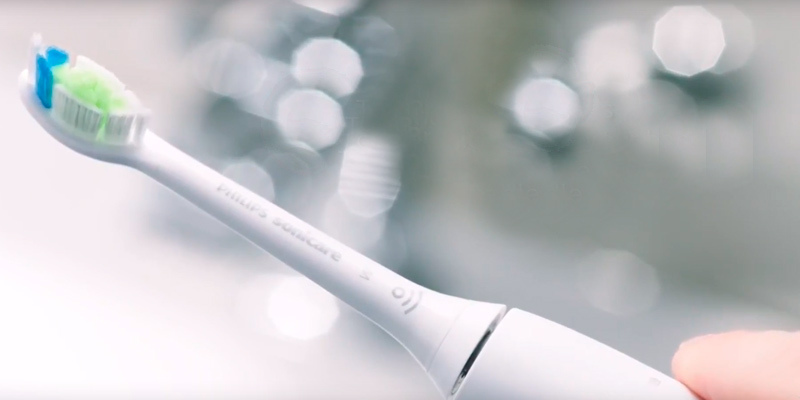 The Philips Sonicare DiamondClean toothbrush has a lot of great features - from various cleaning options and the type of data it collects to the brush heads included in the set and the way it charges. Of course, all these things make it a bit pricey but if you want to invest in a high-quality brush that will serve you for a long while, this one can be a perfect fit. The Sonicare ProtectiveClean 6100 is a great choice if you are looking for a premium quality toothbrush at a competitive price. 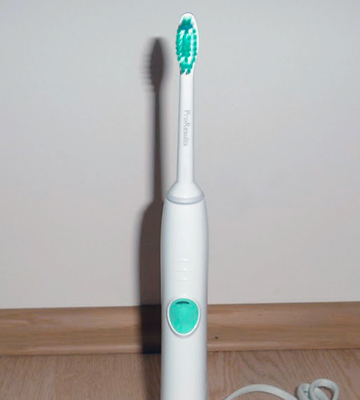 Slightly less expensive than the DiamondClean, it has almost all functions and cleaning modes you need in a toothbrush. Let's take a closer look at them. 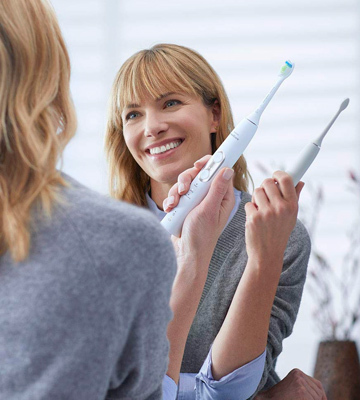 The ProtectiveClean 6100 uses sonic technology which, along with the oscillating bristles, effectively removes plaque in hard-to-reach areas, giving you gentle clean. Unlike some brushes from other brands, this one has rather soft bristles, so that the pressing is minimal. Thanks to this, it is suitable for use with braces, fillings, crowns, and veneers. 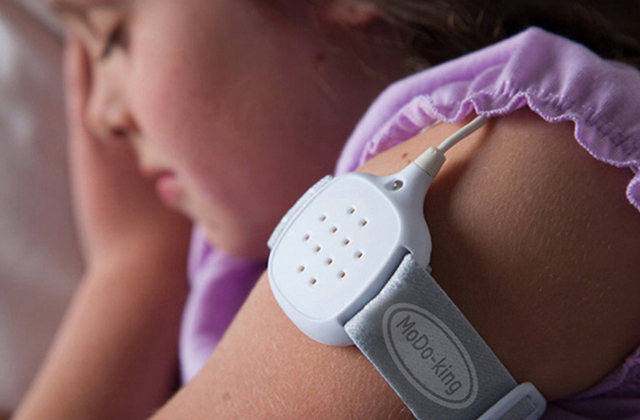 Also included is a pressure sensor that alerts you if you start brushing too hard. All this combined makes it perfect for all types of consumers, regardless of whether they wear braces or simply have sensitive teeth or gums. Next comes performance. With the Sonicare ProtectiveClean 6100 you can choose from as many as 9 different settings, the math of 3 variable cleaning modes x 3 power intensities. 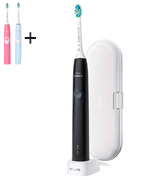 The cleaning modes include Clean, White and Gum Care settings: the Clean mode ensures 2-minute dentist-recommended brushing; the White mode provides extra 15 seconds; the Gum mode adds an extra minute of reduced power to those 2 minutes. Unfortunately, the Sonicare ProtectiveClean 6100 is not compatible with a wide range of brush heads. Fitted with the BrushSync technology, it automatically detects a smart brush head and synchronises it with a smart handle. So make sure to check whether a brush head you buy next has an appropriate symbol. This might be a bit restricting, of course, but, on the other hand, the benefits are totally worth it. 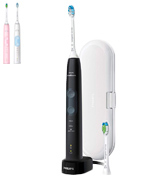 The Philips Sonicare ProtectiveClean 6100 is a rechargeable toothbrush that is powered by a Li-ion battery. The battery can hold the charge for up to 2 weeks without a decrease of power. Therefore, you can easily take it to your business trips and stick to your daily oral routine anywhere you are. And to make transportation and storage more convenient, the package includes a travel case in which you can accommodate both the brush and an additional head. The only real drawback of the plastic case is that it’s not USB charging. 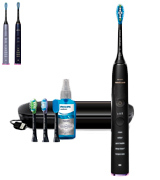 Unlike DiamondCare series, the brush should be charged via the proprietary Philips charger (included in the kit). But other than that, we found no flaws with it. It’s a perfect toothbrush to take on your trips. It can guarantee effective and complex cleaning of your mouth in any corner of the world. Choosing an electric toothbrush for everyday use, some people seek the most advanced models, while others prefer no-frills devices. If you want to take advantage of professional-grade dental care without paying for gimmicky features, the Philips Sonicare ProClean electric toothbrush may come up your alley. This brush has a pretty simple set that includes just a toothbrush, a charger, and a travel case. Yet, most people would not need more than that. The head on the brush is removable and easy to clean after use. The battery built into the handle of the brush is rechargeable and can last for up to two weeks of daily use, enough for short journeys. 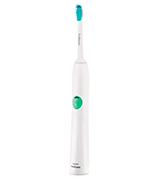 Simple as it is, the Philips Sonicare ProClean electric toothbrush is a top-quality product. 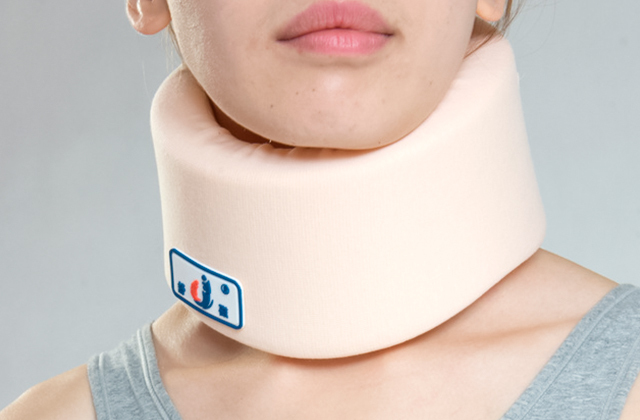 It looks great, is well-balanced and won't slip out of your hands due to a comfortable grip. The control button on the handle is large and easy to press. Though this brush doesn't have many cleaning modes, it does provide two cleaning intensities (high and low). Essentially, you have the same two brushing modes: standard for power clean and sensitive for delicate brushing. 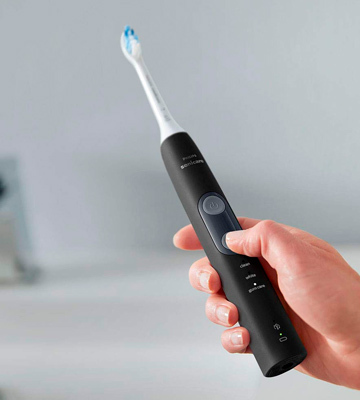 The built-in 30-second Quadpacer will tell you when to move to the next section of your mouth, and the timer will automatically shut the brush off when you brush your teeth the dentist 2 min recommended time. Like other high-end Philips models, this one has a brush head replacement reminder. It will track how often the brush head is being used and let you know when it's time to replace it. 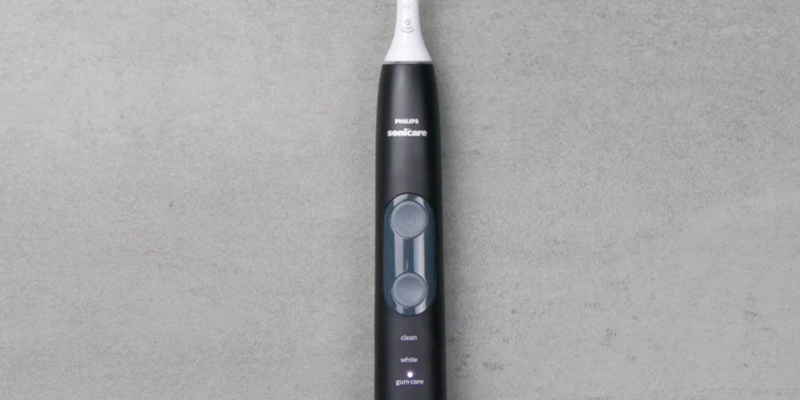 Aside from the mentioned features, the ProClean boasts a brand-specific sonic technology that provides 62,000 bristle vibrations per minute while creating gentle bubbles that go deep between teeth to gently sweep out the plaque and food debris. Plus, the ProClean has a pressure sensor with the alert function that will make the handle vibrate if you press the brush too hard. This will help you prevent gum bleeding. So despite its no-frills design, the Philips Sonicare ProClean electric toothbrush can easily give many full-fledged electric toothbrushes a run for the money. It's a very reasonable choice for those looking for the ideal price/quality ration in an electric toothbrush. The Philips Sonicare 5100 is probably the golden mean in the ProtectiveClean line. It’s a bit more sophisticated than 4300 models and less expensive than 6100 brushes. Yet, it offers everything you might seek in a high-quality toothbrush. For starters, thanks to the Smartimer feature, you will be informed when you have brushed your teeth for two minutes, which is considered to be the optimal time. Plus, the Quadpacer will monitor if you spend the right amount of time on each part of your mouth. This model comes with three modes (Clean, White, and Gum Care) for everyday cleaning, removing stains from enamel, and additional gum treatment. Combined with the W2 Optimal White or G2 Optimal Gum Care heads, this electric toothbrush carefully removes the plaque in-between teeth and along the gumline, which helps make your gums much healthier and teeth whiter. The only slight gripe with this model is that the power button is rather sensitive, so you ought to be a bit more careful while cleaning your teeth in order to avoid accidentally pressing that button. Other than that, you’ll find nothing to dislike about it. The toothbrush comes supplied with the premium travel case allowing you to store it more hygienically. Though take note that the case doesn’t offer the charging function. It's the stand that doubles as a charger, providing two weeks of regular use after a full charge. The manufacturer also offers a bundle with an AirFloss Pro oral irrigator for those who want to get the most out of their oral care routine. The AirFloss Pro can maximise cleaning results by removing dental tartar from those tricky areas where the toothbrush simply can't reach. 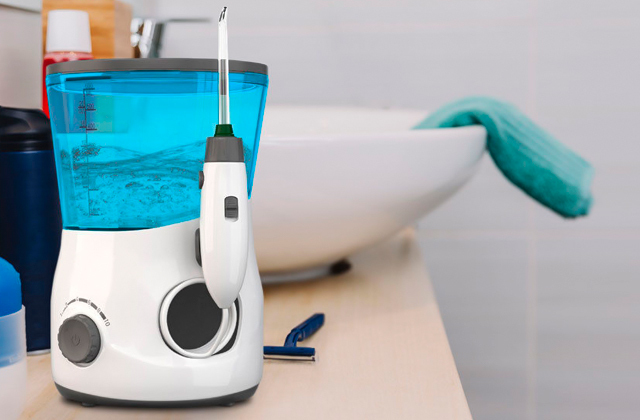 It uses the unique micro-droplet technology that combines air and liquid (water/mouthwash) to powerfully remove up to 99.9% plaque. Plus, it can help not only with the prevention of dental plaque and tooth decay but also with gingivitis and some other gum diseases. So, if you want to get a complete oral care solution, this is a solid choice. With it, you’ll be able to achieve a polished look and maintain your overall oral health without frequent visits to dentists. If you don't need a brush with all those exotic features but just an effective model, the Philips Sonicare EasyClean Electric Toothbrush with Pro-Results Brush Head will fit the bill. It's a very basic toothbrush in terms of features yet it cleans well, holds the charge long enough and is very easy to operate. With the gloss white plastic body, it looks rather clinical. It features just a single mint-green power button and a series of ridges to give you an additional grip. This brush offers you a straight clean mode that lasts for 2 minutes in total. It has a quadpacer that bursts at 30, 60 and 90 seconds to remind you to move to the next quadrant of your mouth. 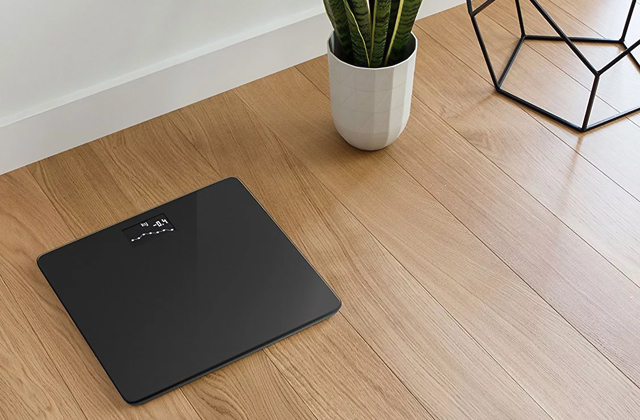 This self-timer ensures that you'll spend an equal amount of cleaning time for all four quadrants. The brush works very quietly, emitting just a high pitched humming sound. Along with an audible hum, its motor gives 500 brushes per second. Also, the toothbrush pushes fluid between your teeth to remove all food, plaque, and stains. After just a few weeks of use, you'll notice that your teeth will become much cleaner and smoother. 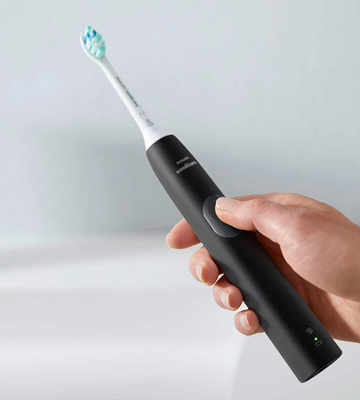 By the way, it has an Easy-start Mode that intelligently increases the power and number of strokes over the first 14 uses to help you adapt to this Sonicare e-toothbrush. This option is pretty handy for those who are making a transition from a manual toothbrush. However, if you don't need this starter mode, you can simply turn it off. The battery life makes somewhere about 2 weeks or 84 minutes of brushing time. So, if you're going somewhere, you can fully charge the brush and leave a two-pin conduction charger at home. Unfortunately, the brush comes without a travel case, but it's certainly not a deal-breaker. For less than £50, it is one of the best Sonic toothbrushes you can buy. The brush comes equipped with the Sonicare ProResults head that removes up to 2 times more plaque than a standard manual toothbrush. It has a contoured profile to naturally fit the shape of your teeth and get to hard-to-reach areas. It features a large surface with contoured bristles that effectively clean and massage your teeth and gums. The bristles are angled and radial-trimmed to help maintain the contact with your teeth as the brush head pivots. Also, the Sonicare ProResults head is engineered in the way to maximize the sonic motion and drive fluid deeper between your teeth. Overall, the Philips Sonicare electric toothbrush with Pro-Results Brush Head can give you the thorough clean you're craving for. What Is a Philips Electric Toothbrush? 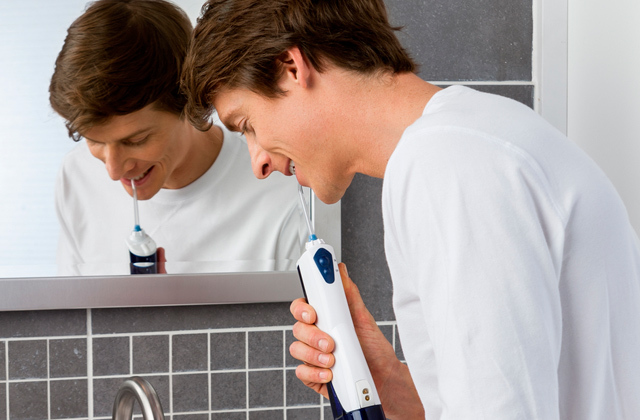 Philips Sonicare is a well-known Dutch company that focuses on improving people’s health. No wonder the company constantly advances its products and uses innovative technologies. Philips electric toothbrushes are praised for their vibration technology called Sonic Technology. The brush head makes side-by-side movements to drive fluids into every tight space of your mouth for the maximum plaque removal. Philips brushes produce up to 31,000 strokes per minute, ensuring the best cleaning possible. Also, a lot of Philips toothbrushes boast some extras like Bluetooth compatibility, dual charging system, and a smart timer. 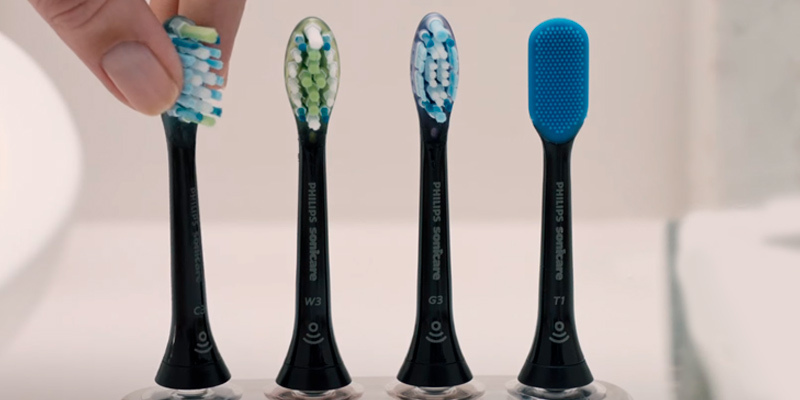 As for the brushing heads, Philips offers several modifications. Each of them has "smart" bristles that fade over time, informing you that it's time to replace a brush head. Philips brush heads look very similar to general brush heads, which makes the transition from standard brushes much easier. In this review, we compare these superior toothbrushes. What is the best Philips Sonicare toothbrush? Keep reading and decide for yourself. If you want to make your smile even brighter, we recommend you to use a flosser. A pressurised water jet can remove all plaque and food debris. And a face brush is another useful beauty tool in your bathroom. It can make your skin healthy and radiant. The prime feature we recommend you to pay attention to is the Performance of a brush. 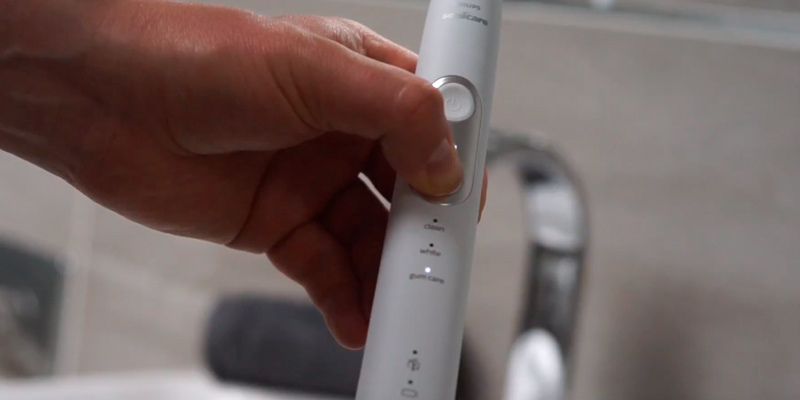 An e-toothbrush should run smoothly and consistently. The fastest and most effective Philips toothbrushes use superior sonic technology. They clean teeth with up to 31,000 strokes per minute. The intense sweeping motions drive fluids in hard-to-reach areas including tight spaces between your teeth and along your gum line. If properly used, these brushes are very effective at removing bacteria and plaque, however, they are more expensive than regular electric brushes. Also, consider how long the rechargeable Battery will last. The best models can last up to 3 weeks on a single charge provided that you brush your teeth twice a day for the two dentist-recommended minutes. So, before buying an electric toothbrush, ask yourself how often you’re likely to charge it. If you're going to keep the charging unit on the shelf anyway, then you might not need to look for a toothbrush with the most powerful battery, but if you plan to take it with you everywhere you go - and not necessarily always with a charger - in that case, it's better to give preference to more advanced models that come fitted with long-lasting batteries. The availability of different Cleaning Modes is another criterion worth your attention. The basic models typically have just one "Cleaning" mode which is quite enough for general brushing. As for upgraded brushes, they offer additional settings like "Sensitive", "Whitening", "Massage", "Gum care", and others. Such a variety of cleaning modes allows you to adjust the brush not only to different needs but also to different teeth conditions. This way, "Sensitive" mode is good for people that have very sensitive gums prone to bleeding. While "Whitening" mode will come in handy whenever you'd like to whiten your teeth a bit before going out for some special occasion, for example. One more feature to consider is some Extras. 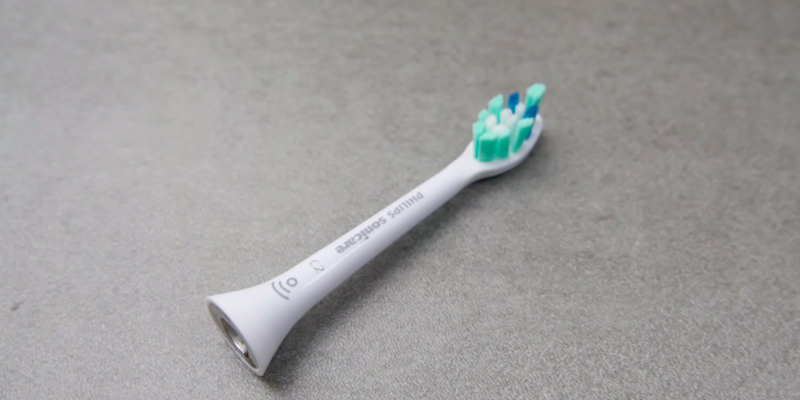 It'd be beneficial to have a toothbrush featuring some additional functions such as a timer (quadpacer) which vibrates, buzzes or pulses - as you set it - every 30 seconds informing you that it's time to move to the next section of your mouth, a Bluetooth connectivity option allowing you to connect to your smartphone for tracking your brushing performance and see whether or not you've succeeded to make a progress and improve your habits a bit. 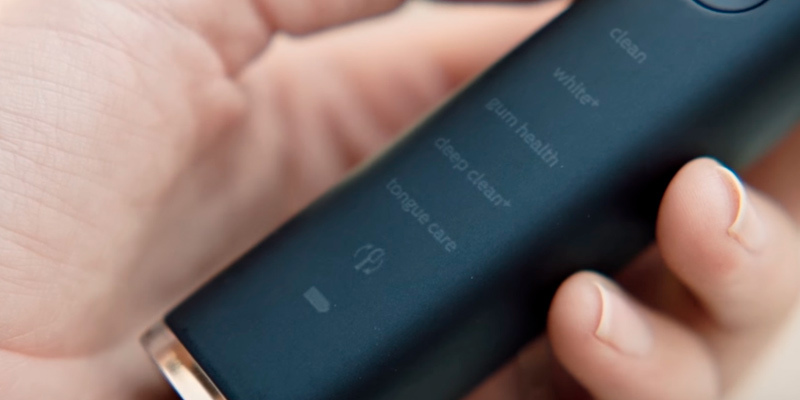 Using a Bluetooth-enabled toothbrush, you've got a chance to receive real-time feedback regarding your brushing performance, get useful tips, set and achieve new goals, and then share your results either with other community members or your dentist for receiving further instructions on personal dental care. Don't forget to check what comes included in the Set. It's a nice bonus if the kit includes one more toothbrush head (for changing your cleaning routine) and a protective cap. Another handy accessory is a travel case, in which you could store an electric toothbrush, replacement heads, and a charger. If you travel a lot, a carrying case is a must since an uncovered toothbrush might become a target for germs and bacteria. Numerous studies show that sticking to a healthy diet and regular exercising decreases the chances of developing different gum diseases. Sugary foods and liquids lead to cavities in teeth. By the way, one can of soda contains approximately 10-12 tablespoons of sugar. People who drink soda each day experience 62% more tooth decay and fillings. If you're right-handed, you chew food on your right side. And vice versa, you chew your food on your left side if you're left-handed. Just like your skin, your teeth have pores. And no wonder that they can absorb what you eat and drink. Coffee, wine, and cigarettes are very aggressive in staining teeth. Over time, they can darken your teeth. An average woman smiles 62 times a day, while men smile just about 8 times a day. Kids laugh about 400 times and adults laugh just 15 times a day. It takes 17 muscles to smile. There're no two people with the same set of teeth on the Earth. Our teeth are as unique as our fingerprints. The same goes for a tongue. Everyone's tongue print is different. Your teeth reveal how old you are and what you usually eat and drink. Also, they can tell about your overall health. The enamel on a tooth is the hardest part of a human body. Giraffes have bottom teeth only, while Blue Whales (the largest mammals) have no teeth at all. Unbelievable, but a snail's mouth contains over 25,000 teeth. The prototype of a toothbrush was tree twig. People chewed the tips of the twigs that spread out the fibres to clean their teeth. The first toothbrush with bristles was created in China in 1498. It was made with bristles from hogs, badgers, and horses. However, the first commercial toothbrush entered the market only in 1938. Although teeth (20 primary teeth and 32 permanent teeth) start to develop when a baby is still in the womb, they break through when a baby is somewhere between 3-6 months old. The exception is wisdom teeth - they don't form at all until adolescence. A fun fact is that an average gift from the Tooth Fairy was just 20 pennies in 1950. Today, children get about 1.5 pounds per tooth. An average mouth gets 8 incisors, 4 canines, 8 premolars, and 10 secondary molars. Incisors are sharp, chisel-shaped front teeth that are used for cutting food. Canines (also called cuspids) are shaped like points and used for tearing and grasping food. Premolars (sometimes called bicuspids) have two pointed cusps and are used for crushing and tearing food. Molars serve for grinding and chewing food. They have several cusps on their biting surface. One third of each tooth is underneath our gums. As for the third molars (known as wisdom teeth) they grow when you're the 17-21 years old. However, they can never develop in about 35 percent of the population. Scientists suppose that in the future humans won't have wisdom teeth at all. On average, we spend 38.5 days brushing our teeth over the lifetime. Q: What is Sonicare technology? Does it really work? A: A sonic toothbrush vibrates at the speed that lies within the 20- 20,000 Hz frequency range. Sonic toothbrushes usually vibrate at somewhere between 30,000 to 40,000 strokes per minute. They give you an excellent cleaning because they remove plaque from those areas where the bristles can't reach. And yes, this non-contact brushing is extremely effective. The sweeping motion of a sonic toothbrush drives fluids deep into the tight spaces between your teeth or along your gum line. This makes sonic toothbrushes so special and superior to standard brushes. Of course, sonic brushes provide mechanical scrubbing as well. Just like other brushes, they effectively remove dental plaque due to the action of its bristles. Sonic toothbrushes are very efficient scrubbers owing to their intense vibrational speed. Yet, they are gentle enough to use on implants, veneers, braces, and sensitive teeth. Q: How often should I replace brush heads? A: You should change the brush head of your e-toothbrush approximately after 3 months of use. Luckily, almost all Philips brush heads have bristles that fade over time, showing you that you need to replace the brush head for better cleaning efficiency. Q: How to maintain my Philips electric toothbrush? A: A brush performs best when its head is properly cleaned and replaced timely. Rinse your toothbrush after every use and allow it to air-dry completely. At least once a week, remove the brush head and wipe away a toothpaste residue. 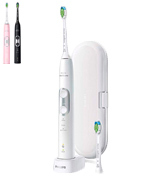 Q: How to charge my Philips Sonicare electric toothbrush? A: It's very important to charge your toothbrush for at least 24 hours before the first use. This will help to prolong the battery lifespan. You can also store your brush in the charger base. It's not dangerous and you can safely leave the base plugged in permanently not worrying about the possibility of overcharging. With Philips Sonicare toothbrushes such thing is simply not possible. Q: What's the lifespan of Philips Sonicare electric toothbrush on average? A: The lifespan of Philips toothbrushes can be over 10 years. Typically, the first part that starts to malfunction is the battery unit. However, it can be replaced easily. Q: How to prevent splattering of toothpaste when using a Sonicare toothbrush? A: Just put the brush head into your mouth before pressing the "on" button. And keep your mouth closed while cleaning. Q: Are Philips Sonicare toothbrushes waterproof? A: Yes, Philips Sonicare toothbrushes are sealed and waterproof. You can safely rinse one with water, however, never put the handle in a dishwasher to clean. 2. Dianne L. Sefo Six Dental Health Facts You Need To Know, Colgate. 3. 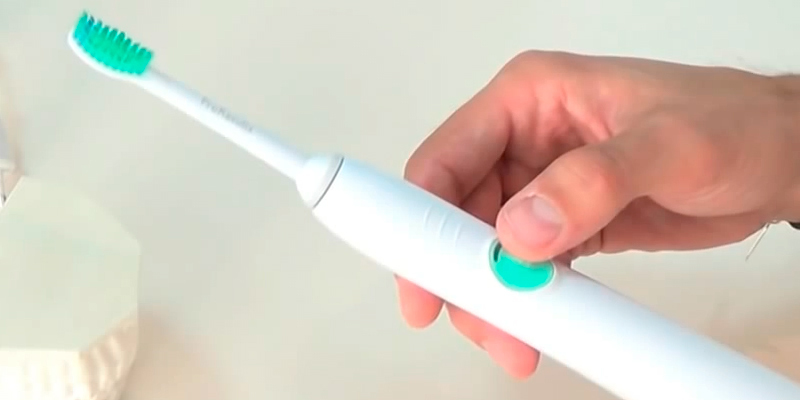 Richard Nilsen Is a Sonic Toothbrush Better Than an Electric Toothbrush? LIVESTRONG.COM. 4. A new level of care. Philips Sonicare, Philips. 5. Mouth and Teeth: How to Keep Them Healthy, familydoctor.org.